Okay. So I’m honestly so busy.  Imagine not having my blog updated for two weeks? That’s like a sin for me. Haha. Kidding. My laptop broke that it’s kinda hard for me to update with my crazy and busy work schedule. Anyways, this post is super late because I think I got this set like one month ago already? Haha. Crazy busy, indeed. 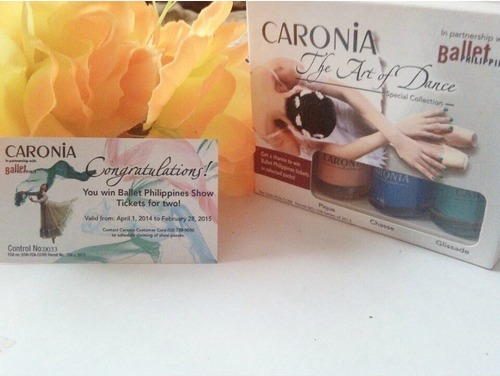 Caronia Philippines, in partnership with Ballet Philippines, is giving away random sets of Ballet Tickets on their latest collections. I got the The Art of Dance Collection which contains three shades in Pique, Chasse, and Glissade. I so love nail polishes. Especially when it has a touch of pastel colors and matte finishes. 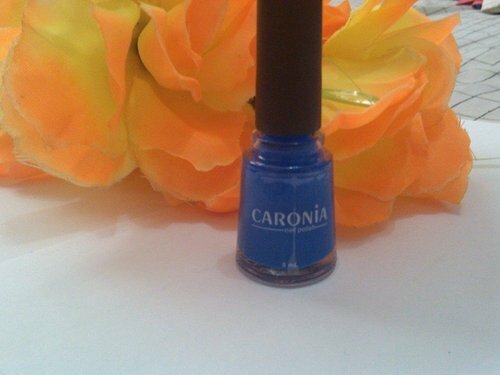 If I could sum up my nail polish collection, roughly as of writing, I have 43 shades of nail polishes of different brands, but mostly are Caronia ones. 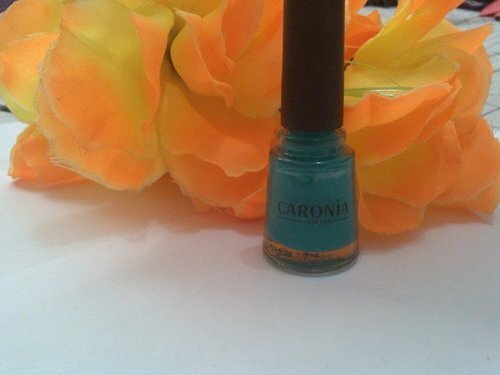 Caronia nail polishes are amazing because of the wide variety of shades that you couldn’t pick what’s best because everything is lovely. I wasn’t able to capture a screenshot of my nails with the polishes on since I still have coats, but when it fades, I will edit this post for you guys to have a quick view of the shades when applied on the nails. And here’s my prize! I was surprised when I opened the box and found this one inside. I told myself that I just got luckyyyyyy! I’m very happy that I won, yet, another prize randomly. I’m a fan of plays and cultural arts. During my college days, I used to visit the Cultural Center of the Philippines for Pasinaya coverage. But usually, these costs a lot that’s why I’m not able to watch. Hihi. 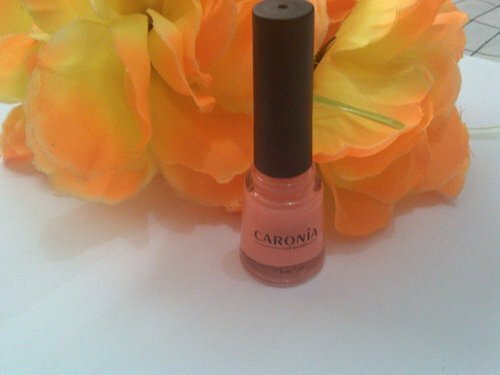 So I’m thankful to Caronia for this one. My sister once wanted to be a ballerina, but she didn’t pursue that dream. 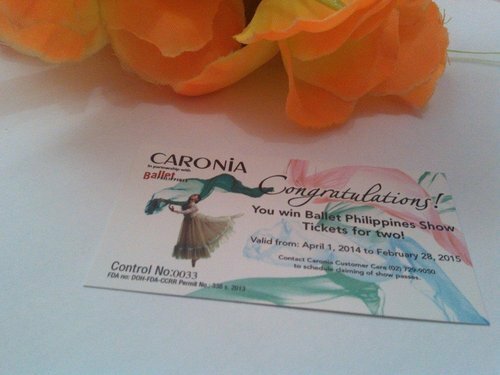 I wish she did so we can all have access to Ballet Philippines! HAHA. Just in case you have no idea, Ballet Philippines, the premier classical and contemporary dance company in the country and a resident dance company of the Cultural Center of the Philippines, is widely recognized as a cornerstone of the Filipino cultural identity. 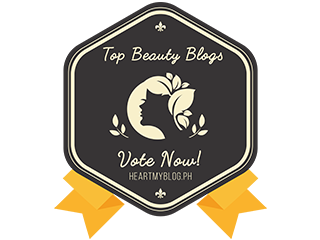 It is accredited by the Philippine Council for NGO Certification. I’m excited to watch the show! I will be sharing my experience once I’m done watching.